I dug down into the portfolio case for this one. It was inked back in 2004. 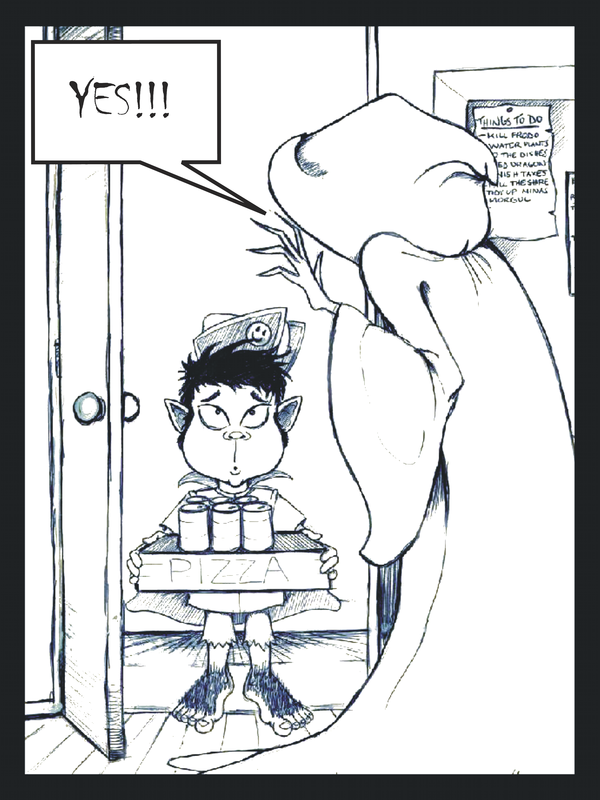 The concept was simply “Snack-Bearer”, with a Frodo-esque Halfling in the starring role. Mordor, Minas Morgul and other noteworthy locations were frat houses on the campus where our hirsute hero delivered pizza.